Without passion, you will feel bored in doing anything and it is a pity for everyone to live a dull life. But in the eyes of the diligent people, it is just a joke, because the person who is self-abandoned in the real society deserves a dull life. If you always lose in poker games, others will not feel that you are so pitiful, but they believe you are an idiot, and they just like playing games with idiots for they can get something from you. I can provide you special tools to change their views, printable deck of playing cards is one popular kind of our products. 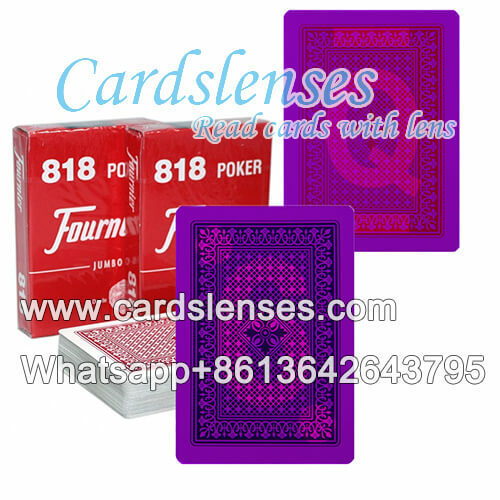 Fournier 818 poker cards, a kind of wide size and 100% plastic cards, we can mark them into marked playing cards. But the marks we made are invisible ink marks, and you can see only when wearing our contact lenses or infrared sunglasses. 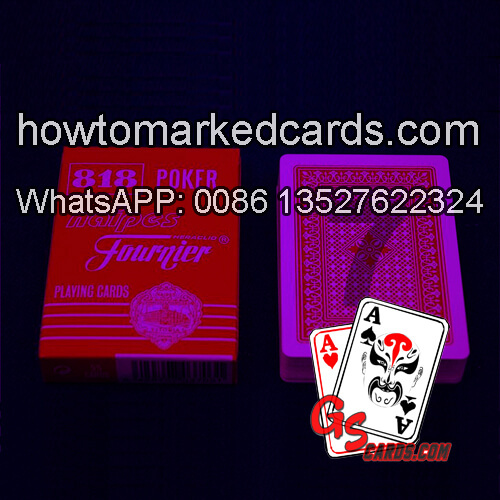 We always marked blue cards with big font in the middle and marked red cards with small font in four corners of the playing cards, if you have more requirements about the suits, please contact us.